The outer rim of the pendant is embellished with a row of small, clear and sparkling Swarovski® crystals. 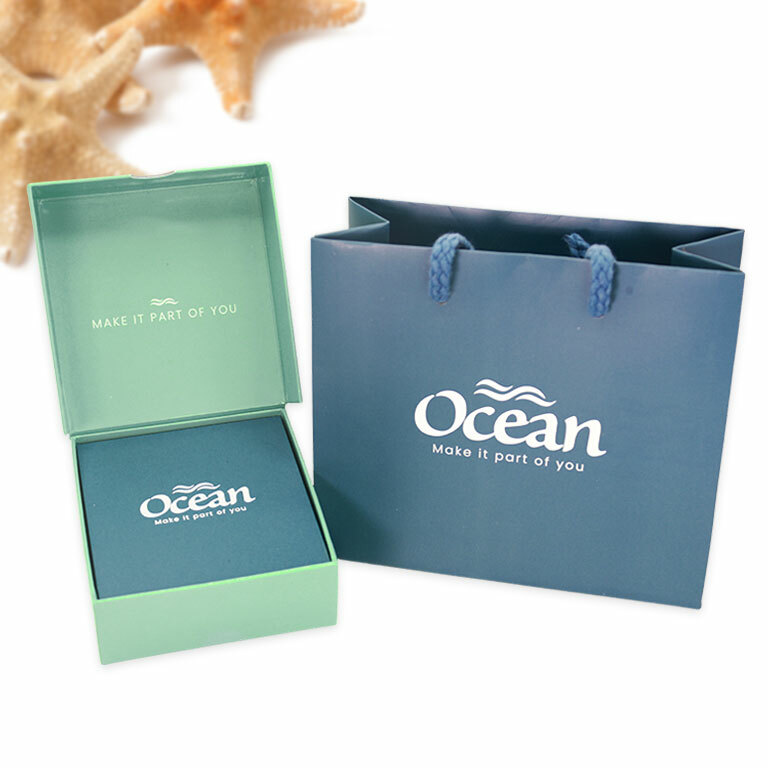 The waves have been adorned with blue Swarovski® crystals. A thin silver chain and a simple bail add the perfect balancing note. 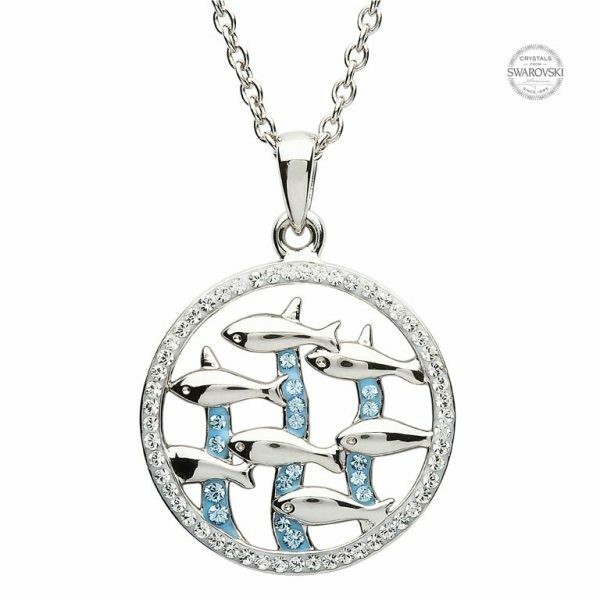 As ocean waves represent emotions and fishes symbolize wisdom, this necklace signifies inner wisdom amidst the turbulence of human mind. This necklace is perfect to dress up any evening ensemble with hints of blue in it. It also makes a lovely gift for a woman who wears her femininity with pride. 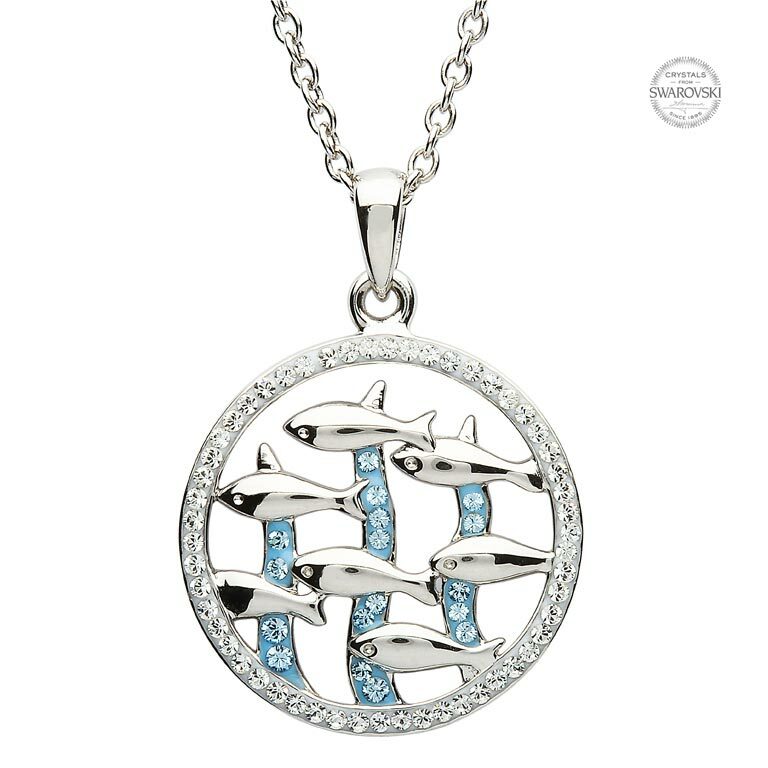 The Fish In Blue Waves Necklace is loveliness redefined with its lattice in circle design. Beautifully crafted in Sterling silver and embellished with clear as well as blue Swarovski® crystals, its shining charm is perfect for dressing up your special occasion outfits. These Sterling silver fish stud earrings are all beauty and grace to adorn your delicate earlobes. Created with fine craftsmanship and embellished with clear and sparkling Swarovski® crystals, these shimmer gently to add glow to your appearance.